He distanced his recent criticisms from sectarianism as he called for support “to pin Wahhabism down and deal a blow to it” against what he dubbed a “project” launched in 2011. Wahabbism is a type of Islam practiced in Saudi Arabia but critics have linked it to extremism claiming that it has inspired terrorism with the support of the authorities in Riyadh. The Islamic State and other Takfiri terror groups use the ideology to declare people of other faiths as “infidels” that deserve death. Usually, Saudi Arabia does not reply to statements made by Nasrallah and considers his group a close ally of Iran. Hezbollah is a Lebanese based Shia politico-military group that strongly supports President Assad and the independence of Palestine. 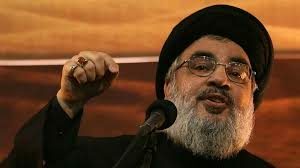 Nasrallah has lamented that the Palestinian Cause is only “a cursory matter” and “a trivial matter” for some Arab states while underlining that Riyadh is warming its ties with the Jewish State. The Hezbollah leader also lashed out at “British Shiism” saying it poses a bigger threat than Wahabbism and Zionism. He claimed that the group’s religious figures are mercenaries of intelligence services. Posted by Jaber Ali on Sep 28 2016. Filed under Headlines, World News. You can follow any responses to this entry through the RSS 2.0. Both comments and pings are currently closed.